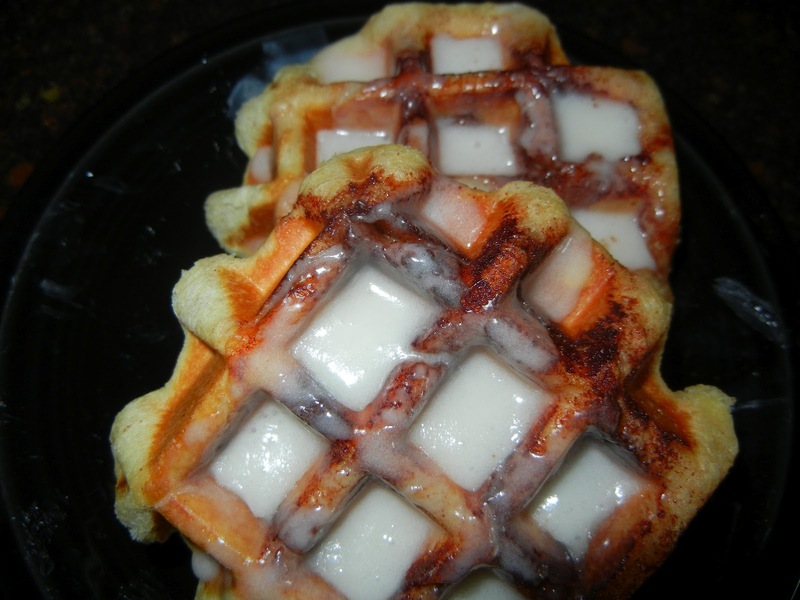 Cinnamon Roll Waffles? One of the blogs I follow posted a picture of what looked to be a terribly unhealthy but unbelievably tasty (and white trashy) looking breakfast. It isn’t so much a recipe as it is an alternate guide to cooking mass produced grocery store food that requires the most minimal amount of actual “cooking”. For breakfast I had what I’m calling a Cinnamon Roll Waffle. 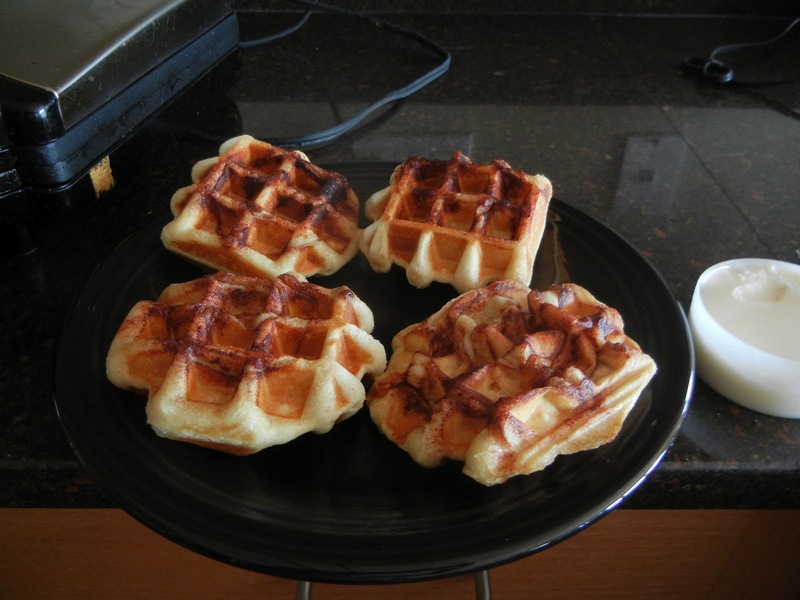 Yes, for breakfast this morning I had Pillsbury Cinnamon Rolls — cooked in a Waffle Iron. I knew going in that this breakfast wasn’t going to earn my kitchen even a single Michelin Star. I figured it would be a nice thing to try — and maybe use it as a quick breakfast when I have house guests. ingredients before you start to cook. The “recipe” is simple. 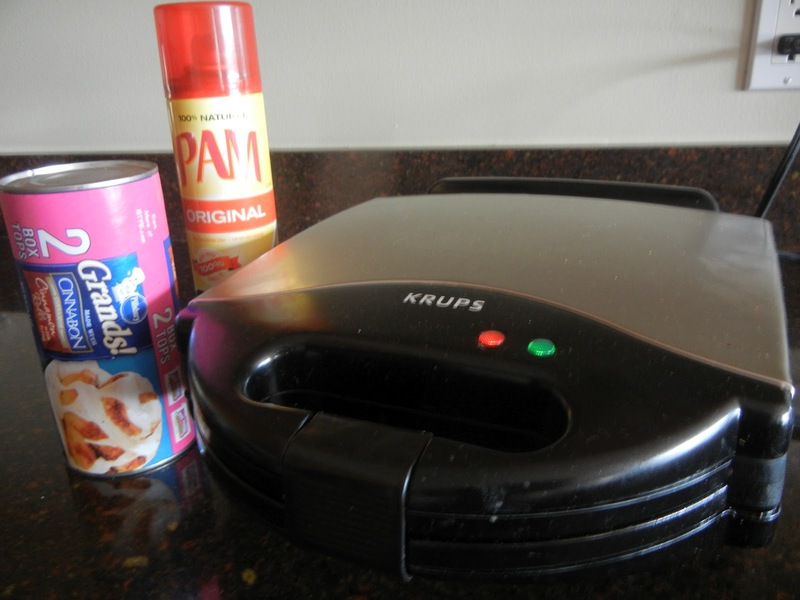 Turn on your Waffle Iron (mine has just two settings: on and off) and spray with a cooking spray (I used Pam as you can see). Once the Iron is hot, put a single pre-made cinnamon roll in each of the waffle spots. Close the lid and latch it closed, if you have a latch. My Iron took about 2 minutes to cook the rolls through and crisp up the edges. You’ll have to check your own Iron as it may cook quicker or take a bit longer. Once done, immediately use the provided frosting (if the rolls aren’t hot, your factory produced icing will not melt). So, how was it? It was very good. It is all sugar and processed flour and not at all part of a balanced breakfast. I could easily see making this again – when guests are staying here, or when I host brunch (like here). This is not high food, but it is a bit of comfort food, especially for those of us who grew up in households where we never had homemade cinnamon rolls for breakfast. Have you made this “recipe” before? Does this whet your appetite? 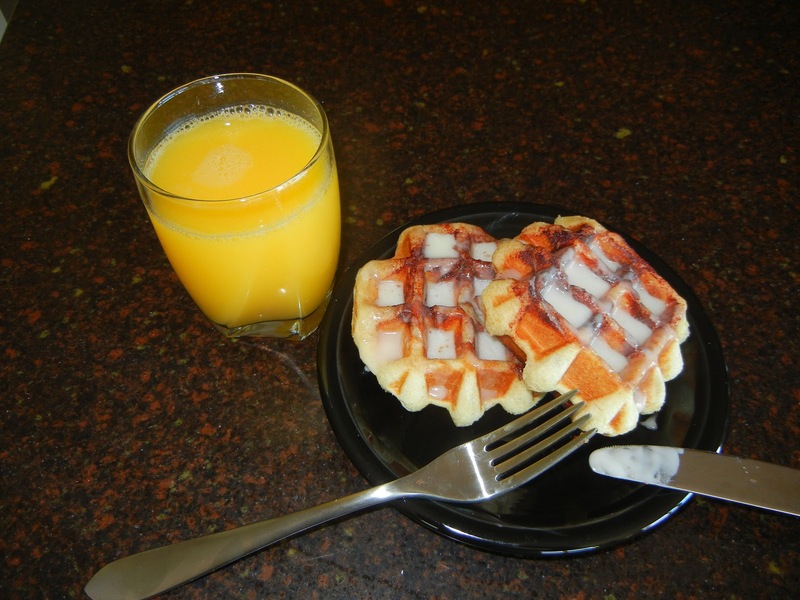 Have you used your Waffle Iron for alternate uses, like this (or to make biscuits or brownies)? By Tim in Food on September 9, 2012 .